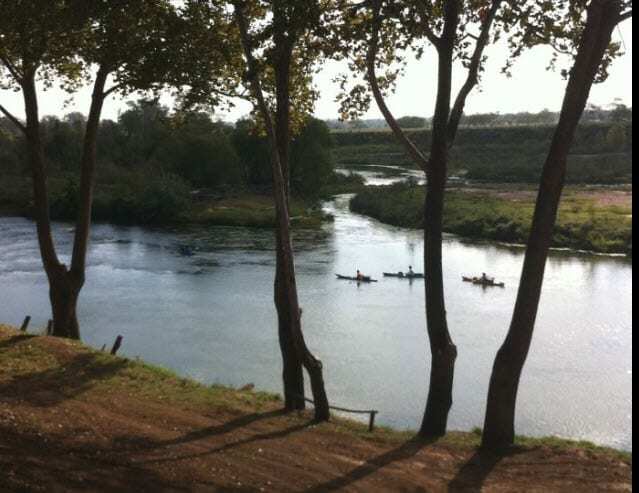 WALDO’S CAMP, located in a beautiful spot on the Colorado River in Columbus, Texas, was purchased in the 1950s by James Waldo Prichard to be a family fishing camp. Decades later, Waldo’s Camp welcomes groups of all shapes and sizes to enjoy the river, fellowship and the great outdoors on one of the only private campgrounds in the area. THE 2-ACRE PRIVATE CAMPGROUND is ideal for group getaways, family reunions, church retreats and much more. Waldo’s Camp has hosted an array of group events, including RV Rallies, private concerts, kayaking and canoeing excursions, and fishing groups. WALDO’S CAMP IS THE PERFECT PLACE for groups to stay for events in the nearby. Columbus, Texas area. Gather up some friends and family to enjoy an unforgettable stay at Waldo’s Camp while attending NEARBY EVENTS such as: * Round Top /Antiques Weeks/Festival Hill * Fayetteville /BP-MS 150 Houston to Austin Bicycle Race * Fayetteville /Chamber Music Festival * Fayetteville /Picking Park * Fayetteville /ARTWALK * Fayetteville /Lickskillet Days * Fayetteville /Country Christmas & Homes Tour * Fayetteville /City Wide Garage Sale * Fayetteville /Antiques on the Square DON’T MISS YOUR CHANCE TO ENJOY THE WALDO’S CAMP EXPERIENCE! Reservations are limited, so contact us to book your group getaway at Waldo’s Camp today.